You would think all stuffed animals would be safe and non toxic. If you were to research the materials used in most teddy bears, you would be shocked to find chemicals proven to cause cancer and interfere with hormones, the reproductive system, nervous system, and overall development. Some of the toxins commonly found in children’s toys are banned in other countries while still allowed in the United States. So you really have to do your homework. A few key areas you should consider include the materials used, any dyes or finishes used, potential choking hazards, and country of origin. Why Choose Organic Stuffed Animals? Use the comparison chart below for a quick preview of our top picks. We picked these after careful research and testing, which you can read more about in our in-depth stuffed animal guide below. Traditional teddy bears and stuffed dolls are bought and sold every day. 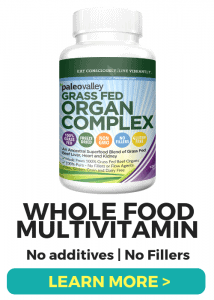 You don’t ever hear about health concerns with them, so why spend the extra money to get it a natural stuffy? I’m a penny pincher myself, and I’ve asked this question so many times. The fact of the matter is we don’t hear about their safety concerns because there’s no way that developmental issues or a cancer diagnoses 30 years down the road can be tracked back to a single stuffed animal. And that’s just it – it’s not a single anything. 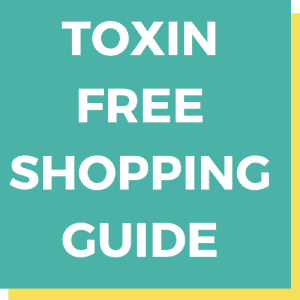 Toxins from various sources build up in the body and very slowly cause health issues over time. When we talk about the dangerous chemicals lurking in Emily’s stuffed bear, we’re not concerned it’s going to make her sick tomorrow. The concern lies in adding one more toxin to her burdened body, whose symptoms may not manifest until decades later. It is because of these long-term side effects that you should consider buying non toxic stuffed animals for your kids. As you’ll see below, there are quite a few toxins used in the average stuffed toy. They are particularly dangerous to children because they absorb far more toxins than adults. All of that adds up to a more porous body that soaks up toxins like a sponge. 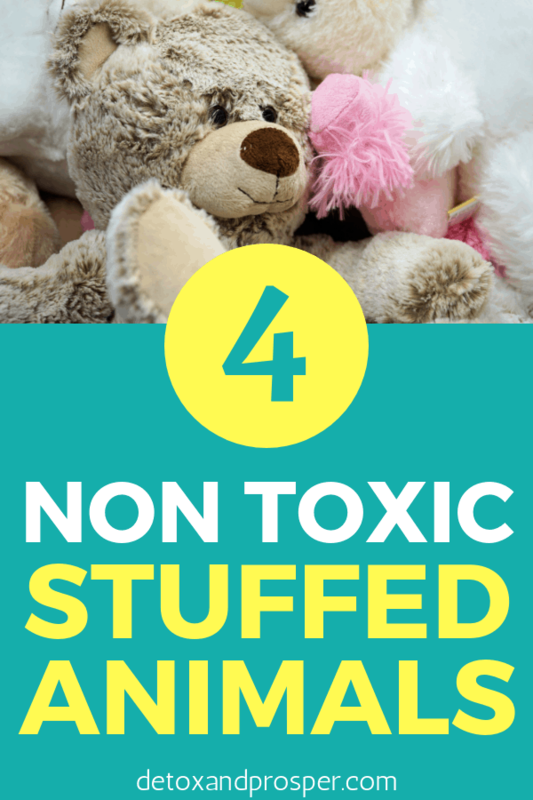 Let’s take a look at a few of the most common toxic ingredients in stuffed animals. Flame retardants are mostly used in dolls, cuddly toys, and plastic toys. They are usually added to combustible materials to prevent fires from starting on them or at least slow the spread of fire through them. Flame retardants can accumulate in tissues, disrupt the normal physiology of the reproductive system, and disrupt hormones. Some types of flame retardants have even been deemed carcinogenic – meaning they can potentially cause cancer. Deca is currently the most manufactured form of PBDEs, despite the fact that it is banned in Canada and two states of the U.S. The newest flame retardants are known as Brominated Ethanes (DBDPE & BTBPE). They are used regularly, despite a curious lack of information about their safety and potential bioaccumulation rates. Pesticides would have to be the next biggest concern with regular animal stuffies. They are known poisonous substances that affect not only the pests they are targeted towards but also humans. Pesticides cause a wide range of health effects from respiratory complications to cancer. Short-term exposure often results in nausea and headache, but chronic exposure can lead to cancer, hormonal disturbances, and alterations in the reproductive health. Azo dyes are commonly used in dolls, wooden toys, and stuffed animals. Besides aggravating allergic reactions, azo colorants are very toxic to the point of potentially altering DNA, encouraging dangerous mutations. They are used to dye textile fibers, especially cotton, which is our primary concern since most stuffed animals are made of cotton. Oh, and azo dyes are banned in the European Union and even the state of California. Not sure why the rest of the states haven’t followed suit?! Then there are petroleum-based inks. Though among the most effective inks in use, they contain volatile organic compounds, particularly – toluene, xylene, and benzene – all of which can cause significant harm to the body, including cancer. There are still other chemicals in dyes used in stuffed animals today, including alkylphenol compounds such as nonylphenols and octylphenols. They are widely used to dye and clean in the textile industry. Besides accumulating in body tissue, these dyes also exhibit similarities with one of our main hormones, estrogen. As a result, alkylphenols can disrupt sexual development particularly in children. Formaldehyde is a highly toxic systemic poison. If you’re wondering why it sounds familiar, it’s because it is the very same chemical used to embalm dead bodies. It easily exists as a vapor, so it is well absorbed through inhalation. When inhaled, its vapor can irritate the respiratory tract, skin, and eyes as well as induce hypersensitivity to various other chemicals. 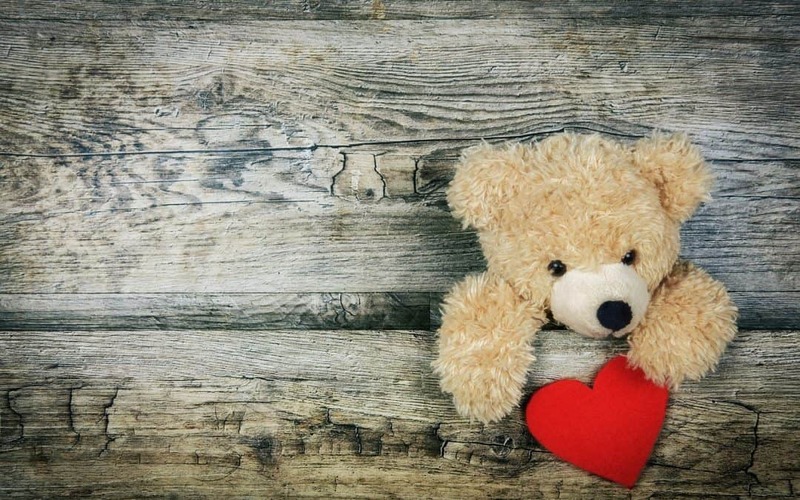 Wondering what formaldehyde is doing in our children’s teddy bears? Well, manufacturers use it to help bind colors to fabric, and it also serves to help toys repel water and resist wrinkles. PFCs are nonstick chemicals that are used for their excellent water-repellent properties. The price we pay to repel dirt and grime? Potential devastating effects on our liver, growth patterns, and reproductive systems. Did you think you only had to worry about phthalates in plastic toys? Think again. Guess what most dolls and cuddly toys are stuffed with? Yes, soft plastic pellets that are laden with phthalates. They have been scientifically shown to cause hormonal disruptions and even cancer. 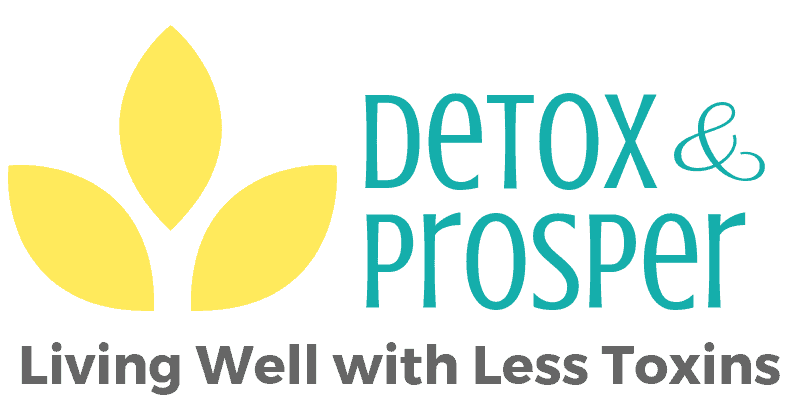 It pains me to know that there are scientifically studied and proven alternatives to the toxic ingredients listed above, yet they are rarely used. The list of materials below are what you’ll find in those healthier, non toxic stuffed animals on the market. Natural dyes can be made from plants, soil, and even water. Plant-based dyes are widely used as an alternative to petroleum-based dyes. Not only do natural dyes better support the environment, but they also produce brighter colors. Water-based dyes are another great option that are light and resistant to fading. Untreated fibers are safe because they don’t contain the harmful chemicals usually used to preserve, finish and dye textile products. Untreated fibers eliminate the risk of suffering from health complications, which are a consequence of excess chemicals used to make stuffed animals. When it comes to stuffed animals, cotton is the fabric of choice. The problem is that conventional cotton is treated with pesticides, insecticides, irradiation, fungicides, and herbicides. These poisons are harmful, especially to children who are very sensitive to chemicals. Organic cotton, on the other hand, is safe and free from those toxic additives. You just need to make sure that there weren’t any toxic finishes used on the finished product. Wool is another popular fabric choice for stuffed animals and baby stuffies. The process of how wool is made encompasses shearing, cleaning, grading and sorting, carding, spinning, weaving and finishing. This entire process doesn’t involve any addition of chemical substances that may be toxic. As a result, wool is among the safest materials used in stuffed animals. Similar materials that you may find in plush toys include mohair and cashmere from goats or angora from rabbits. To ensure that you buy truly natural stuffed animals, you may want to consider a few certifications that guarantee your protection from certain industrial chemicals and toxins. GOTS is the world’s leading processing standard for organic-fiber textiles. Their role is to ensure that plants are grown organically and that they are processed in a socially and environmentally responsible manner. GOTS is considered the “gold standard” in the textile world, especially for products made with organic cotton. Their certification guarantees that the product you are purchasing is safe and non toxic. Oeko Tex is a certification program that focuses on how fabrics are processed, which includes all the finishes and dyes. If a fabric has this certification, you can rest easy knowing it is safe and free from harmful chemicals. It is very difficult to predict whether cotton is safe by just considering it at face value. You can only be sure that soft cotton toys are organic if you can determine it is certified to an organic cotton standard. OCS ensures that the organic content of cotton in materials can be traced back to its source while GOTS ensures that the organic content in clothes is processed sociably and sustainably. If you see “Fair Trade Certified” on a label that means the material was developed under fair conditions – fair wages, safe working environments, no forced child labor, etc. Fair Trade certifications are third-party verified and internationally recognized. Finding healthy stuffed toys for our kids shouldn’t be hard, but it can be due to their scarcity. We have looked at dozens of plush toy brands and found 4 that meet our standards for natural materials, healthy dyes and finishes, and of course, the all important cuddle factor! We hope it saves you time and helps you make the best decision for your little guy or gal. Bears for Humanity provides a wide selection of adorable stuffed bears and other animals – many with matching accessories. Their products are made with 100% GOTS-certified organic cotton. We also like that this brand doesn’t fill their bears with plastic beads like most other brands do. Instead, they use safer, recycled materials, which give them a soft, squishy and cuddly. As a bonus, the company donates one bear to a child in need for every bear they sell. Since the fill is made from recycled materials instead of tiny plastic beads, they are a little heavier than most other stuffed animals. Perhaps not ideal for very young babies. Under the Nile products are made in Egypt with 100% organic Egyptian cotton that is Fair Trade certified. Besides the traditional animal stuffies, they also have cute stuffed vegetable characters and others that start at just 5 inches tall – perfectly sized for little hands. Under the Nile products are tested and free from flame retardants, azo colorants, PVC, fragrances, and more. Elly Lu creates sustainable toys that are made using organic cotton that’s free from GMOs, pesticides, and synthetic fertilizers. All the products from the company are 100% Organic Cotton Certified and crafted with non-toxic dyes. Dyed with Non-toxic Dyes: no toxic coloring. Like Bears for Humanity, they also donate a portion of their sales to charity. The filling depends on the stuffed animal. Some are stuffed with organic cotton or organic buckwheat hull, while others are stuffed with recycled polyfil. Finn and Emma products are made mostly in Peru, India, and Vietnam and are Fair Trade Certified. They use only 100% organic cotton with safe dyes, and some of their gear is GOTS-certified. Besides stuffed animals, they carry a wide range of non toxic products for kids such as clothing, rattles, blocks, and more. STYLISH & MODERN: Our beautiful, thoughtfully crafted toys provide hours of fun for your little one without being an eyesore lying around the house- unlike the gaudy, cheap plastic toys seen everywhere. G.O.T.S. CERTIFIED ORGANIC COTTON: Our knit toys are handmade in Peru using the softest 100% organic cotton yarn and sheeps wool stuffing. They are made in G.O.T.S. certified settings that meet the highest standards in environmental, quality, and labor protections. NON-TOXIC & ECO-FRIENDLY: Our knit-toys are made with organic cotton yarn dyes with non-toxic inks. The phthalate-free rattle inside is loud enough to keep babys attention but soft enough to not annoy mom and dad. ETHICAL CRAFTSMANSHIP: The artisans involved in the creation of this toy are paid a living wage and work in safe, humane conditions. Our products are made with respect for the human and environmental resources that make them possible. This is a big one, considering up to 80% of all toys are made in China. Many toys from China don’t meet the international standard of safety and are potentially detrimental to children and the environment. In fact, research groups have run various tests, finding that most Chinese-manufactured toys were high in lead and phthalates. One 2013 study, in particular, found that such toys contained 300 times higher the phthalate concentrations allowed by United States standards. Yet these toxic toys are still imported on a regular basis. Not only that, a 2009 study published in the Environmental Science and Technology showed widespread use of fire retardants found in toys made in China. I wish it were as easy as simply avoiding labels that read “Made in China,” but toy manufacturers have gotten sneaky. Now they will say things like “Assembled in Norway” when all of its materials came from China. So bottom line, read labels carefully and do your due research to find truly healthy stuffed animals made without toxins. If you decide you want to stick to non toxic stuffed animals, focusing on a few key areas will help you find the right stuffed toy for your little one. This one is the most important since it is what comes in contact with your child’s body the most. Surface material should be a fabric that has been certified by either GOTS, OCS, or at the bare minimum, Fairtrade. This will help you avoid exposure to toxic pesticides, chemical dyes, herbicides, and fungicides. You should also consider any allergies he or she may have and choose a material that won’t aggravate them. Some toys have been found to contain toxic stuffing. For instance, stuffing done using garment waste, discharged mattresses, and old materials are a major cause of respiratory problems in children. It sounds ridiculous that manufacturers would even use such materials, but they are cheap so they do. Many trusted natural toy brands will stuff their dolls and animals with things like recycled, non-PVC plastics and other less hazardous materials. Stuffed animals should be easy to clean because they provide a breeding ground for bacteria. Studies have shown that stuffed animals allowed into pediatric operating rooms can act as a reservoir for bacteria and perpetuate or cause infectious diseases. When your stuffed toy is easy to clean, it’s much easier to prevent this from happening. So check the label and look for stuffed animals that are machine washable or can be hand washed without shrinkage or making any colors bleed. Need options for other healthy toys besides stuffed animals? 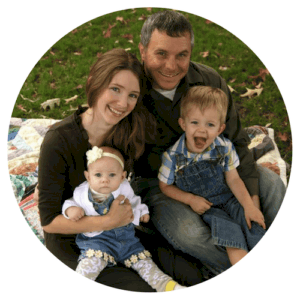 Check out this guide that covers wooden toys, non-plastic teethers, wooden rattles, and more!